If you can't beat them, blog them. Dinosaur - Would you like me to introduce you? Slumdog Millionaire - On popular demand. Great movie and anything that I would say now, most likely, has already been spoken, analyzed, criticised, and accepted. So, let me cut to the chase. The post is on popular demand, non-south Asians asking for translation of Jai ho song lyrics. Roshan dono heerey hain kya? It’s some black magic, isn’t it? Such lit up eyes Are they two lit-up dimaonds? Some time back Sequoia VC's published the slides of doom - RIP good times. But, here comes an under current from Altos Ventures, an anti-thesis. होली स्मोक्स मैं हिन्दी में ट्रांस्लितेरेशन कर रहा हूँ! I love this. I must say bravo to GOOGs. This was just a test post. I am loving it and this is no commercial for McDonalds. The history of the product is synonymous with serendipity similar to Flickr. The company started off building an analytics tool for MS Exchange and due to privacy concerns converted it to desktop productivity tool. I have been using this for almost over a month now and I am impressed. What do I like the most about this - search search and search! The primate search that comes with Outlook is no better than lousy *yawwwnnnnn*. Every selection of an email shows the details of the email - emails exchanged with sender, sender's "network" basically who else the person has been ccing (nothing privy), and files exchanged (two extra candies for this). It also tells what the sender's rank is. In other words, how big a fan the sender is. A graphical presentation of what times of the days the emails have been exchanged. Search is BIG. Search not only searches current mails but archived ones too, did I say I like the search. This is what is there for instant gratification but if you are the statistics and graphs kind of a person then select from menu "Xobni Analytics" and voila you get all kinds of analytics to dig your email behavior and productivity. Be prepared for some surprises here. Two things, when the Xobni companion is visible it drags Outlook to a craaaawwwlllllll. Not good, defeats the purpose. Secondly, while using three column Outlook interface the companion eats most of third column. This is little annoyance but it isn't that bad either. 8 things Bollywood, I knew not. And, here I shamelessly reproduce them for you. Original can be found here. The tax situation has improved somewhat since May 1998, when the government finally granted the film industry the status of an actual “industry,” which means some alleviation of taxes, as well as smaller perks like reduced rates for electricity. However, taxes on films are still pretty high. With all the tax, it's a wonder that the industry survived at all, especially during the deep recession in the early 1970s, when the government imposed a 250 percent tariff on imported film stock. 3. Flops. The success rate for Bollywood films is 15-20 percent a year. The vast majority of films are 'flops'. The industry survives because there is always some rich sap ready to invest in another film (see #6 below). 4. Number of Prints. The number of prints made for even big films is no more than 500 or so, including prints to be sent abroad. Compare to Hollywood, which releases big films on 3000 or more screens at once in the U.S. alone. One has to keep in mind, of course, that normal (i.e., non-multiplex) movie theaters in India are much larger than in America. A big movie theater in India can seat up to 2500 people. 5. Box Office totals. I've often wondered why we don't get precise box office totals for Bollywood releases the way we do in Hollywood. According to Ganti, while theaters at the main urban centers give quite specific box office numbers, the smaller centers (which also sometimes get films a little later) don't report their earnings accurately or consistently. The industry is neither vertically nor horizontally integrated in the manner of the major Hollywood studios or multinational entertainment conglomerates. 'Studios' within the Indian context are merely shooting spaces and not production and distribution concerns. Though there has been a move toward integration and points of convergence . . . these instances are not systemic and do not preclude others from entering the business. Essentially, the 'industry' is a very diffuse and chaotic place where anyone with large sums of money and the right contacts can make a film. 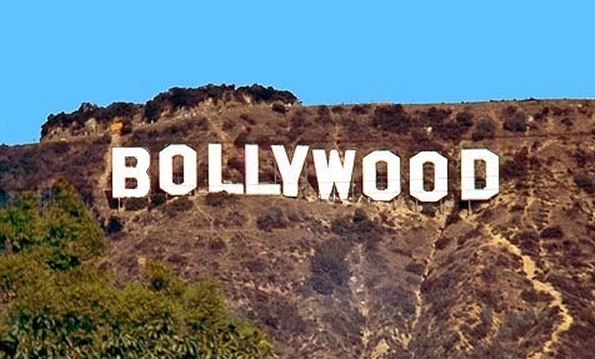 Although both the Western and the Indian press use the metaphors of factories and assembly-line production to characterize the Bombay film industry, i.e., 'Bombay's dream factories churn out hundreds of films a year,' in reality the industry is extremely decentralized and flexible and a more apt comparison would be to a start-up company financed with venture capital. Each Hindi film is made by a team of people who operate as independent contractors or freelancers and work together on a particular project rather than being permanent employees of a particular production company. Films are often financed simply on the basis of a star-cast, the germ of a story idea and a director's reputation. . . . Power resides in the stars, directors, and producers. The industry contains very few non-value-added people such as executives, lawyers, agents, professional managers, i.e., the 'suits,' who do not contribute to the actual filmmaking process. There are also no intermediaries such as casting agents, talent scouts, or agencies like ICA and William Morris. In the absence of lawyers, Ganti notes (and Suketa Mehta corroborates much of this in his book Maximum City, which is also largely based on personal experience with prominent figures in the industry), large deals are often sealed on the basis of verbal agreements between trusted partners. The informal nature of the system also makes it a convenient haven for 'black money' –- cash investments by gangsters, who need to hide their earnings from tax collectors. The change in the kinds of people who write the films might explain why some people feel the films today are not up to the par set by the 1950s and 60s. It also explains how the Hindi dialogue in more 'urban' themed films (like Dil Chahta Hai) sometimes seems a little forced, as if everyone would be more comfortable doing the whole thing in English. 8. Synch-sound. The vast majority of Bollywood films are still dubbed. The industry is still generally using older cameras, which produce camera noise, and has never invested in creating sound-proof shooting conditions in their studios. As a result, it's still easier and more efficient for actors to dub their voices in studio after shooting. This state of affairs is unfortunate, as dubbing is sometimes adversely affects the quality of the acting and the 'production values' more generally. This set-up also helps non-Hindi speaking actors (like the Tamilian superstar Kamal Haasan) to enter into the Hindi film industry. Conversely, it allows Hindi film actors to get into non-Hindi film industries, even if they don't speak the language. The weirdness is that in some cases, if the actors concerned can't quite get their lips around the language in question, other actors' voices might be over-dubbed for their lines. Thus, the actor who is physically on screen may have his lines vocalized by someone else, while the songs in the film are sung by yet a third person!